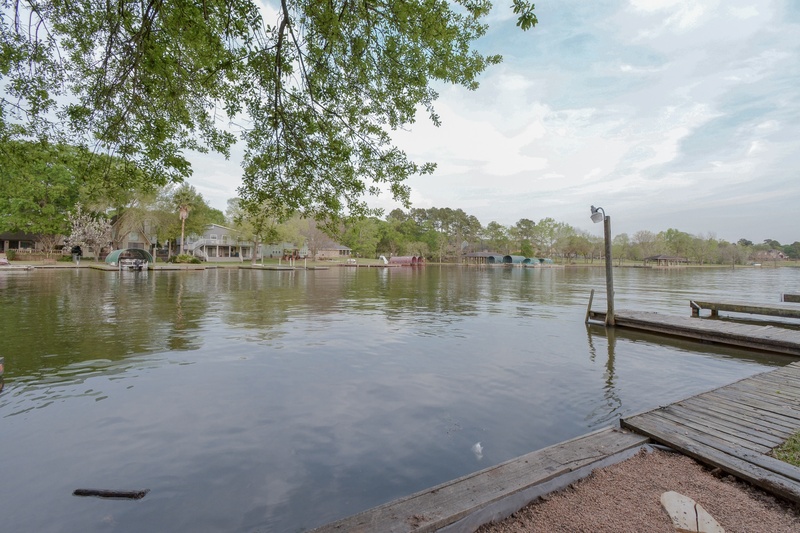 HARD TO BELIEVE this WATERFRONT listing on Lake Conroe in SEVEN COVES. Updated Kitchen Quartz & Granite counter tops, special function cabinets and folding pantry, master bath, secondary baths and mantel all accented by porcelain wood look tile flooring that in master suite and living area. The kitchen cabinets have too many special features to list, a pull out pantry that provides space for all you guest coming to see the magnification view on your large backyard patio. Wood bulkhead and boat lift and even a front yard courtyard. Great for a weekend home or live here full time in the highly coveted Seven Cove community which features a close to deep water marina, 2 parks, pool and basketball courts. Roof replaced 4 years ago. Come see this beauty and it's beautiful view.